Discover the Darby Difference at Sawbranch Apartments where conveniently located, spacious living awaits you at this Summerville community. Sawbranch offers one, two and three bedroom apartments and a great set of amenities. To give you a bit of the image of Sawbranch, imagine a woodsy setting lush with trees and shrubbery--and amazing open space for you and your family to roam. Picture living in the midst of historic Summerville and yet only minutes from Charleston! Then assure yourself of excellent management, where quality and value are consistently offered. Now you are relaxing at the Pool (surfing the web on the pool-side WiFi) or enjoying a good book at Hammock Park. If that is too much relaxation, maybe you are working it ALL out on the Tennis Courts or in the NEW Fitness Center. Whatever you are doing at Sawbranch, know also that you will be residing in one of the area's best, award-winning school districts. Then assure yourself of excellent, management and maintenance, where you will be treated as a focus - never an interruption. 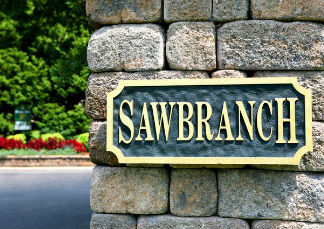 Make your new home with us at Sawbranch and Discover the Quality, Value, Relationships and Trust that await you! Contact us today to check apartment availability! Creative Design by: Ellipse Inc.